When it comes to the baseball diamond, the first decade of the 20th century was dominated by Honus Wagner. He led baseball in many offensive categories and won a National League-record eight batting titles. 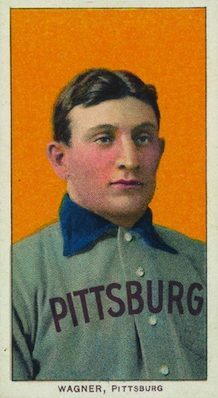 Over the course of his career, he also appeared on some of the most valuable trading cards ever produced and this top list collects the very best Honus Wagner card appearances. Shop for Professionally Graded Honus Wagner Cards on eBay. 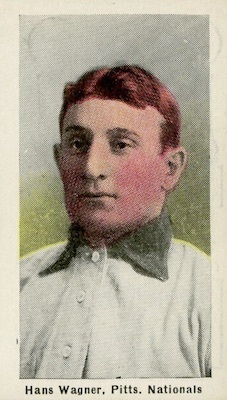 Wagner began his career with a franchise known as the Louisville Colonels but after the 1899 season the National League contracted in size and the Colonels were disbanded altogether. 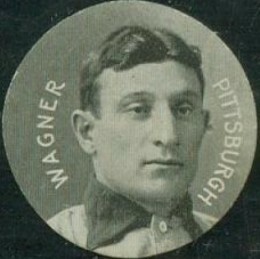 The Pittsburgh Pirates purchased Wagner's contract and in the subsequent seasons he would develop into the best all-around shortstop of the dead-ball era. The very next season, in 1900, Wagner won his first batting title by hitting for an incredible .381 average and he also led the league in doubles, triples, and slugging percentage. He took the Pirates to the first ever World Series in 1903 where they ultimately lost to the Boston Americans (the team that would become the Red Sox). The Pirates would return to the Series in 1909 and this time they beat Ty Cobb and the Detroit Tigers in seven games. Wagner would also be a trend setter by becoming the first player to autograph a bat for Louisville Slugger in what historians think may have been the first celebrity athlete endorsement. He would join the acclaimed first Hall of Fame class in 1936 but his baseball career wouldn't be over quite yet as he served as the Pirates batting coach until 1951. While many of Wagner's cardboard appearances are over a century old and their scarcity places them out of the reach of most collectors, there are some reasonably priced Wagner cards for fans to add to their collection. As a coach for the Pirates in the 1930s and 1940s, Wagner was featured in some sets such as 1940 Play Ball and 1948-1949 Leaf. Wagner also appears in Topps' Connie Mack's All-Stars set from 1951. Being one of the all-time greats in the first generation of MLB players has made Wagner's baseball cards extremely important to the hobby and incredibly valuable. In building this top list, overall card value, including being featured on the most expensive baseball card ever made, was balanced with the importance of the set it originates from. Clearly, there are many others that could have a spot on the list. Let us know your favorite Honus Wagner cards in the comment section. Click on the card listings or images to shop on eBay. Links in the main text section go straight to detailed product profiles or articles. While most of the entries in the top list are tobacco-sized cards, this entry was produced for three years by Colgan Gum Company and is a round card that was included in tins of gum. The backs of the cards feature the series name, "Stars of the Diamond," and many top players were featured in the 225-subject release, making it one of the largest sets of the era. Collectors have found variations on Wagner's card in the lettering that can vary in size from card to card. 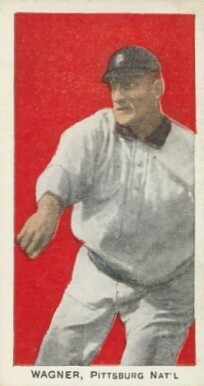 Although Wagner's appearance in Set C of 1910 American Caramel is an early and rare card for him, the release does not have the same level of popularity as other sets of the era because the artwork used doesn't actually feature Wagner himself. 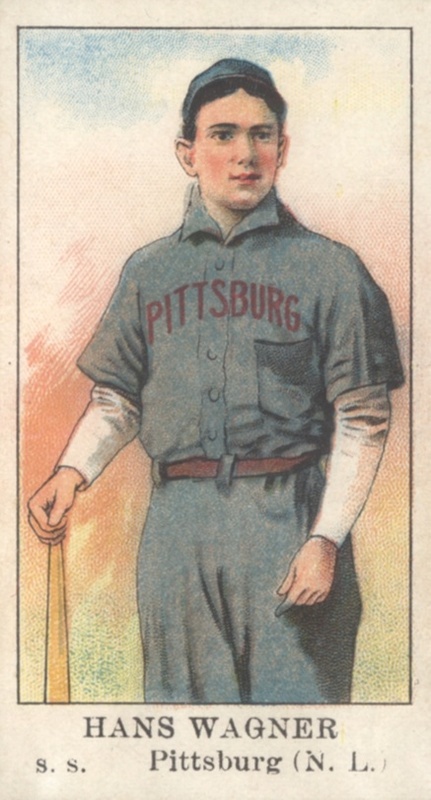 The card maker must have hoped that no one would notice that the cards for Wagner and other Pittsburgh Pirates stars such as Fred Clarke shared the same face, or that Joseph Tinker's card uses the exact same image that is featured on Honus' card. But American Caramel would step up their card quality and create another legendary Wagner card that sits further up the list. 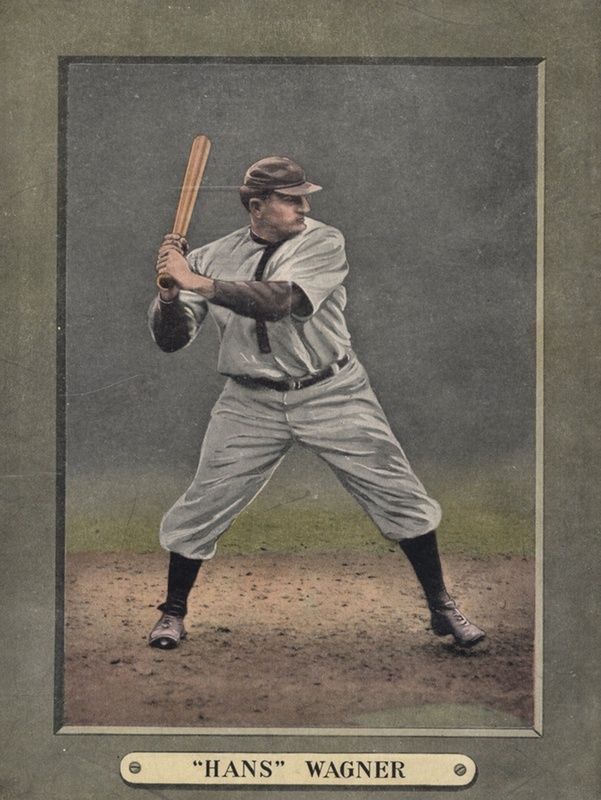 The first of two entries produced by Sporting Life magazine is this tobacco-sized card available in 1910 and 1911. Sporting Life, which was a competitor to the famous Sporting News magazine, made 24 series of 12-card groups available to subscribers in a mail-order offer for four cents per series. Each M116 Sporting Life card has a variety of back advertisements for the magazine and Wagner's card can be found with either a pastel color scheme on the front (shown below) or a rare blue-tinted background. Honus Wagner has cards in the 1914 and 1915 Cracker Jack sets with both cards displaying nearly identical fronts and some subtle differences on the reverse. While today's collectors may frown at a huge production run, the makers of Cracker Jack bragged on the back of the cards in Series 1 that ten million cards were printed. By the time of the printing for the high-numbered cards, that amount had been increased to 15 million overall. The Cracker Jack cards produced in 1915 have their informational side flipped upside down, making it easy to differentiate between the two production years. Possibly Wagner's most beautiful card, and my personal favorite, is this appearance in the Sporting Life Cabinet series produced in 1911. These were very similar in design to the Turkey Red brand of cabinet cards but with a much smaller checklist as only six different cards were available. Like card #8 on this list, which was also issued by Sporting Life, the reverse side of the card has advertisements for the sports magazine. 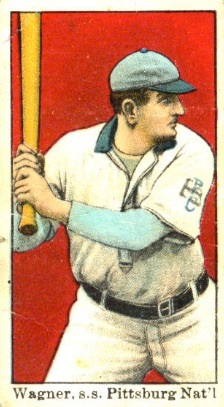 This 30-card set issued by Standard Caramel from Pennsylvania includes many top Hall of Famers in the star-studded checklist. The card used tinted photographs to give the impression they were done in color and the backgrounds typically included a very vibrant hue. 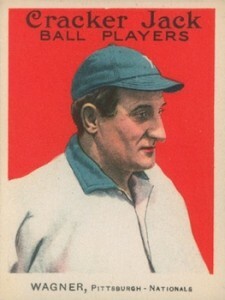 Wagner's card highlights how plain the player uniforms of his time were as the only adornment was the "P" on his cap. Honus Wagner is the highlight of this 11-card set issued by American Caramel that honors the Pittsburg (how the city's name is spelled on the cards) Pirates 1909 team that defeated the Detroit Tigers in the World Series. This victory was a redemption of sorts for the Pirates team that six seasons prior had lost the inaugural World Series. Wagner sits in front of a deep blue background while other cards in the set have red, pink, or blue backdrops, giving the set a unique look. Seeing the two Honus Wagner cards from E92 Dockman & Sons Gum, side-by-side, you might not guess that they were from the same set. The art style is different on both cards with Wagner batting in front of a red background on one card and throwing in front of a pleasant country scene on the other. 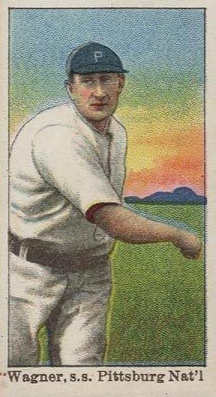 He is one of two players that have two separate cards in the 40-card set (the other being New York Giants second baseman Larry Doyle) and both cards are valued similarly. 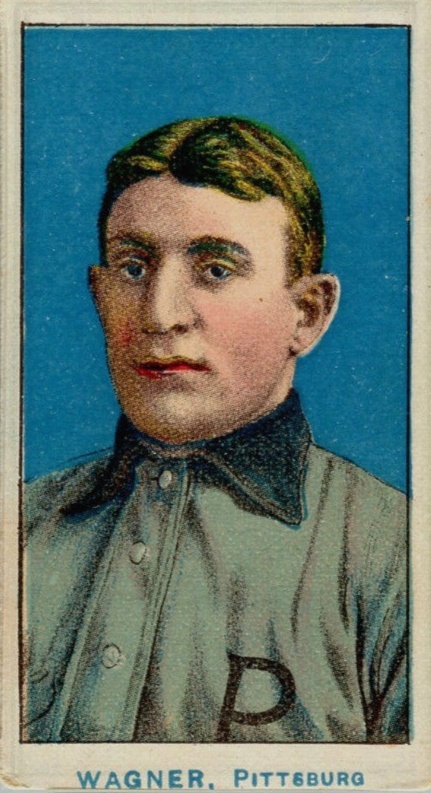 Honus Wagner's first traditional baseball card and second-most valuable card can be found in the E107 Breisch Williams set. This groundbreaking release established the standard for design and size of tobacco cards for decades to come. 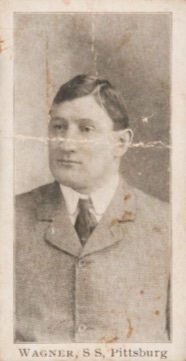 Wagner is photographed in a suit, showing the professional nature that America expected from their athletes at the time. There are no Mint or Near-Mint examples of these cards meaning versions in even the poorest condition can top $50,000 at auction. The top spot has to be filled by the most famous baseball card ever created and it really is a baseball card that shouldn't have been produced in the first place. Wagner did not want the American Tobacco Company to include his card in the iconic T206 set as he reportedly didn't want children to have to buy cigarettes to get his card. You might have noticed that the other entries in this top list are mainly from gum and candy companies rather than tobacco companies. Although the card was designed and printed, American Tobacco pulled it from production and just a few copies escaped Wagner's embargo. Today, celebrities and other wealthy collectors pay millions of dollars to acquire versions in good condition. 1943 - 45 Pittsburgh Pirates Team Photo Muncie Press Honus Wagner 4" by 10"
was there ever a 1909-1 amer. crml honus wagner (batting) card with a black background ever known of?? ?